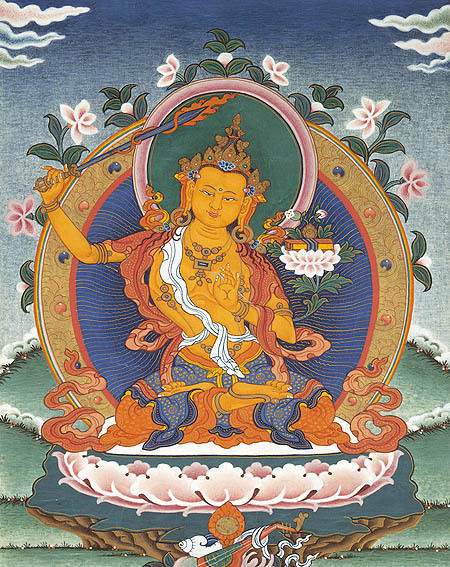 • The mantra of Transcendent Wisdom of Manjusri, widely recited in Tibetan and Chinese traditions, is this week’s latest addition to our Sacred Audio collection. a representation of the manifested universe with Mount Meru at the center and the four main continents spreading out in each of the four cardinal directions. The playing pieces would represent the souls of the world, circling the wheel of life in search of final liberation at the center of creation. • In “Harmony in Popular Belief and its Relation to Confucianism, Buddhism and Taoism”, Prof. Cheng Chih-ming shares an insider’s view of the subtleties of the Triple Religion, focusing on the central role of the archaic native traditions. Together man and the universe form an entity of common destiny, for which it is necessary to keep a mutual balance and harmony.